Let us continue the retrospective of our summer, on the side of the musical entertainment. During the summer, we had the pleasure to have two concerts, for a pure moment of musical happiness. 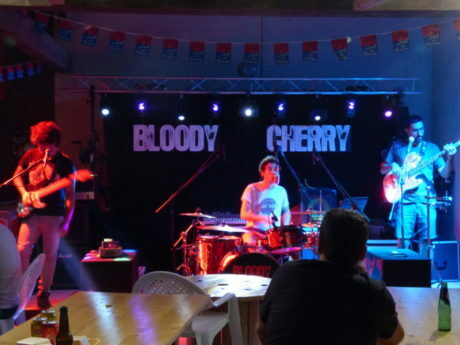 On Tuesday, July 31st, we received for the second time in the campsite the group BLOODY CHERRY. This local group, native of Revel made us swing. Bloody Cherry proposes a repertoire in the influences funk-rock by revisiting the biggest tubes of the last 50 years. Their personalized, readjusted, precise and energetic repertoire seduces all the public. 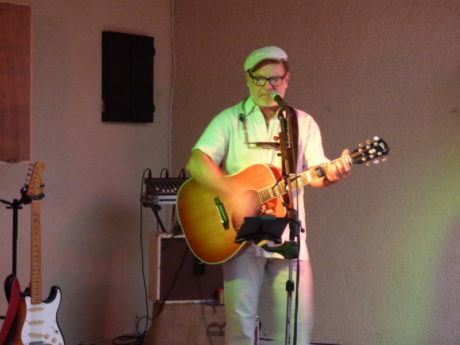 On Thursday, August 15th, we welcomed for the first time Jeff’ H. At the same time guitarist, singer and harmonica player, Jeff’ H has especially an of his own universe. Tones blues and rock and roll of its music had not gone unnoticed everywhere where he passes. Between acoustic stroll and electric fever, Jeff’ H took us at the heart of its musical universe.